Get up to 35% off your renewal quote. Talk to our team or get an online quote now. At Bank of Ireland we offer flexible car insurance that allows you to pick the cover that suits your budget and your individual needs. Get up to 35% off1 your car insurance quote and pay monthly at no extra cost, for all policies taken out before 30th June 2019. Choose either our Popular or Prestige products and upgrade to include a range of extra protections to cover, for example, child seats, satnavs and even decontamination if you fill your car with the wrong fuel. You can also avail of our monthly payment plan with no fees or charges. Get an online car insurance quote now or call 1890 604 604 to talk to our Insurance Team today. Click on the product tabs to find out more about the features and benefits of these products. 1 Applies to standard rates only. Offer available to new policies and for the first year only. Subject to a minimum premium of €262.50 (plus 5% government levy). Underwriting criteria, terms and conditions apply. 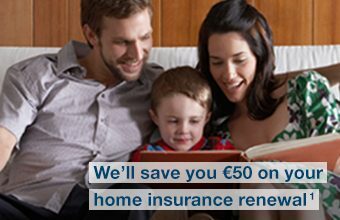 35% discount is the maximum discount where you have a Bank of Ireland Home Insurance policy. 25% discount is the maximum discount where you are a Bank of Ireland customer and do not have a Home Insurance policy. Car Insurance is provided by Bank of Ireland Insurance Services Limited. Bank of Ireland Insurance Services Limited is a member of the Bank of Ireland Group. Bank of Ireland Insurance Services Limited is regulated by the Central Bank of Ireland. Bank of Ireland Car Insurance is underwritten by RSA Insurance Ireland DAC. Bank of Ireland Insurance Services Limited is tied to RSA Insurance Ireland DAC for the purpose of selling Car insurance. RSA Insurance Ireland DAC is regulated by the Central Bank of Ireland. Cover is subject to underwriting requirements and terms and conditions apply. A full list of terms, conditions and exclusions will be included in our policy booklet. Bank of Ireland is regulated by the Central Bank of Ireland. 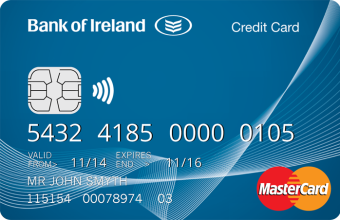 In the UK, Bank of Ireland is authorised by the Central Bank of Ireland and the Prudential Regulation Authority and subject to limited regulation by the Financial Conduct Authority and Prudential Regulation Authority. Details about the extent of our authorisation and regulation by the Prudential Regulation Authority, and regulation by the Financial Conduct Authority are available from us on request. By proceeding any further you will be deemed to have read our Terms and Conditions and Privacy Statement.